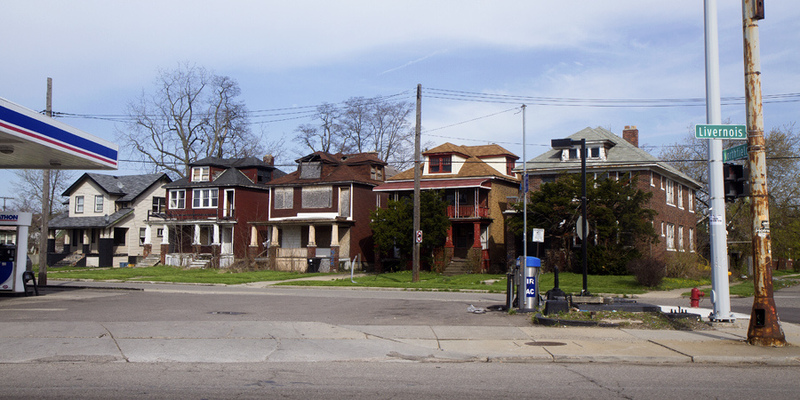 One of every five properties in Detroit are in the process of foreclosure under an unprecedented effort by Wayne County to take possession of every property that is three or more years behind in taxes. Perhaps after foreclosing the County will rent the properties back to the owners? Why pay for such things as taxes and water? Civil rights baby. Considering the majority of the rest of Wayne County pay their taxes, why should they get away with it in the city of Detroit.? For vacant lots and rental properties, this threat might make sense, but when homeowners are that far down, it’s too hard to get up. The city should offer a special deal for occupant-owned non-rental properties to let people make a fresh start. Clear the slate and let Detroit keep some of its residents. Population decline might be a worse problem than back taxes. Can the city afford to chase out any more residents? Collecting future taxes on a property and retaining people to work and spend locally makes more sense than spending tens of thousands on foreclosure proceedings and demolition. The city is actually prepared to loose more residents to the suburbs or entirely out the state. The foreclosure is a necessary evil. No, the city should foreclose and then rent the properties back to the ex-owners. Meanwhile another 100,000 people dropped out of the labor force last month and the labor participation rate continues to tumble to nearly a 40 year low. And given the demographics of the city I suspect it continues to contribute more than its’ fair share to that total decline. Delinquent taxes? How about delinquent city services? If there’s no money to pay city workers, then services will be delinquent. The Detroit News recently reported 20,000 tax delinquent Detroit properties, subject to the amended 2011 auction rules, will be foreclosed in January. Is this group included in the 70,000 mentioned? Will the properties be bundled to thwart slumlords? Will occupants be removed from the foreclosed properties? Great questions, Bebow. Those properties are different, so that actually puts the 70,000 figure at 90,000. I will ask about the bundling and removing the occupants. Traditionally, people aren’t removed from their homes if the properties aren’t sold in the auction. But a lot has changed, especially with the Land Bank. There are a lot of questions to be answered over the next few months. This could be devastating. I’ve already been devastated. If the city fails to remove the criminal menace, I’m leaving when my business is concluded. It’s clear the DPD has no intention of enforcing the law, quite the opposite, if you know what I’m saying. Perhaps the city ought to address the insane tax rates and assessments on these properties? Someone needs to introduce Szymanski to the Laffer Curve. The city is actually in the process of doing that now. It is going to lead to a massive loss in revenue, but it is the only fair thing to do. Well, if you own property, then you pay tax on that property regardless of whether you live there or not. If you do not own property and your question is to the income tax, then your question is posed in an inappropriate place as this is a story about property taxes.